Interested in Micro-Brewery Wholesale Ingredients? 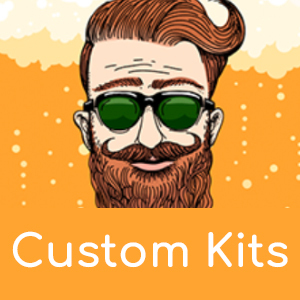 Are you a micro-brewery and interested in buying wholesale from Get Er Brewed? We offer very competitive rates for bulk bought grains, hops and yeast which will save you money and ensure you are brewing with the best ingredients available. The micro-brewery categories can only be viewed once you are granted wholesale access. This is a very simple process which is described below. Once you are granted access, just navigate to the Micro-brewery section of the website and enjoy the best discounts we can offer. If you haven't already got an account with Get Er Brewed, then sign up using your name and email. 4: Click on JOIN to request wholesale access. The Get Er Brewed Team will then review your request and may contact you for some further information. PLEASE NOTE: The name of your Micro-Brewery and your VAT number are required, any requests without this information will not be granted. We recommend that you provide us with a contact number so we can contact you to discuss requirements and prevent delays. As with all wholesale accounts, discounts are applied based on your projected annual spend. We have listed 4 bands of annual spend below. This will help you select which wholesale band you want to join. Click on the image to take you there now.